Work begins today on transforming London’s Centre Point, where a host of designers have been engaged in interiors, public realm and branding projects. The Grade II-listed Centre Point, which is located at the East end of Oxford Street, will be redeveloped as a mixed-use space comprising 82 apartments and at ground level retail and restaurants. 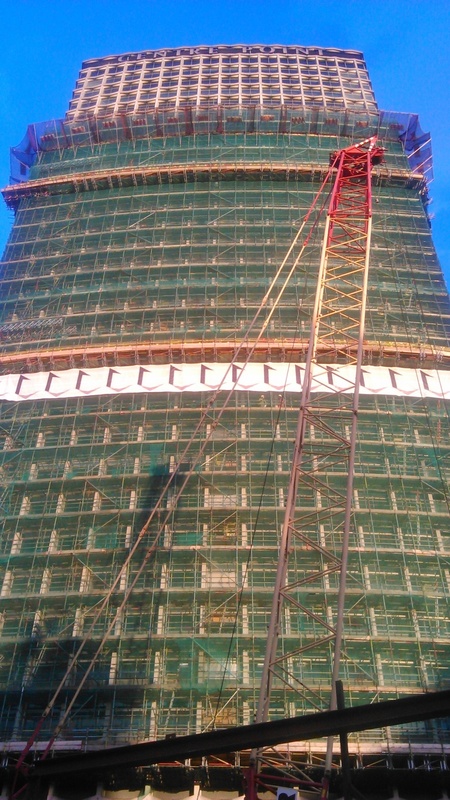 As the work starts, an Eley Kishimoto-designed building wrap will go up around the tower’s facade. Conran & Partners is designing the apartments and working inside the tower to modernise it while integrating the bottom with a redesigned surrounding area. The apartments, he says “are designed to celebrate the most incredible and uninterrupted views across London” and adds that the redesigned building “like all great tall buildings will now fully engage with the ground and sky”. 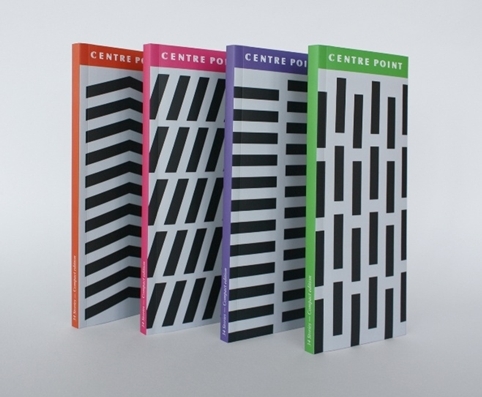 Brand guardian Hat-Trick has been working on the project for several years and has already created an identity which references the Centre Point signage and brand articulation that takes cues from the shape and façade of the building. 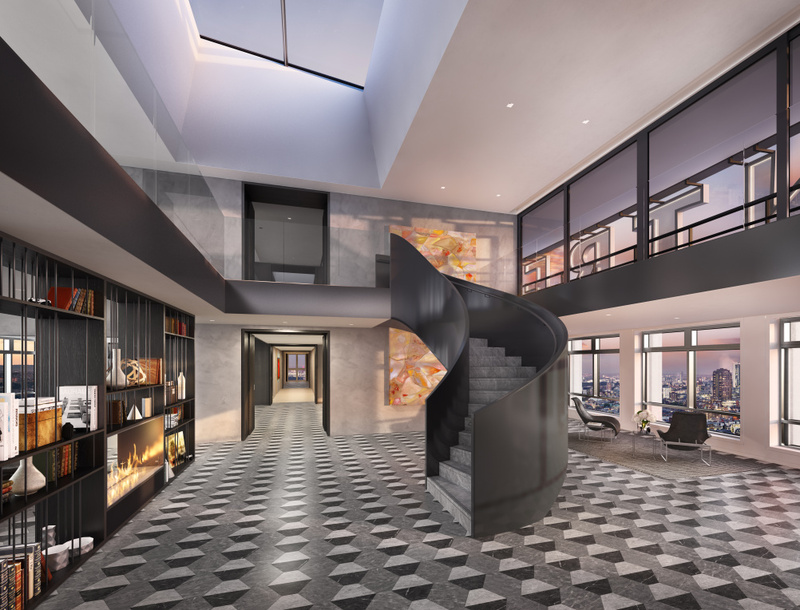 The consultancy has also appointed design and fashion consultancy Eley Kishimoto to create an artwork, which is starting to be applied to the building as a wrap, layer-by-layer one day at a time. It will reference the building’s 1960s architecture and take six months to erect and six months to take down. Property development and investment company Almacantar is leading the project, which is expected to be ready in two-and-a-half years and follow the completion of the Crossrail station at Tottenham Court Road in 2016. A new public square at the foot of the tower will see almost 13,000m2 of new retail, restaurant and open space created while an elevated bridge walkway will link Centre Point Tower to Centre Point House. Other interventions in the surrounding area include pedestrianising the route to Covent Garden from Centre Point, which Almacantar says will make Centre Point a “natural hub” between Soho, Covent Garden, Bloomsbury and Fitzrovia. Rick Mather Architects is behind the public realm designs and Rick Mather says the square is “the key piece in the jigsaw” and is “part of a long term vision by Camden, Westminster, TFL and LUL”.